On the northwestern shore of Grand Lake St. Marys sits the city of Celina, Ohio. As the county seat of Mercer County, it’s home to around 10,400 people. Celina was originally settled in 1834 by James Watson Riley and named after the city of Salina in New York State. Celina offers plenty to do and see. During the summer, the Celina Lake Festival takes place on Grand Lake St. Marys, as does the Governor’s Cup Regatta hydroplane racing. Celina is a farming community at heart, with farmer’s markets hosted every year during the harvest months. Chickasaw Garage is proud to serve drivers in Celina with reliable auto repairs and service. For more than 80 years, we have been the trusted choice for professional repairs and friendly customer service. As a family-owned and operated business, we love to get involved with our community in any way we can. 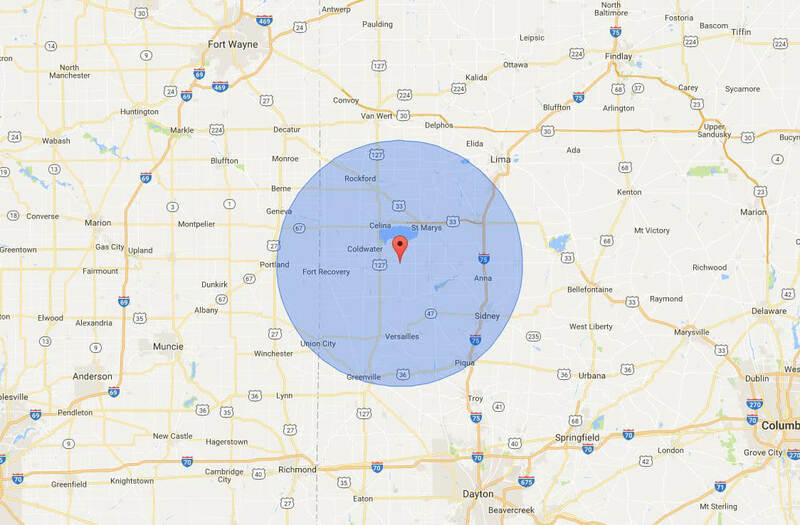 You will find us conveniently located just 12 miles from Celina, in nearby Chickasaw.